Freeview is celebrating big landmarks, with sales of boxes, TVs and DVRs that carry the service reaching the 60 million mark and Freeview HD expected to hit its 250,000th home this month. Although the Freeview figure is, of course, boosted by the fact that a number of televisions sold today have Freeview tuners as standard, the landmark is a significant one, especially going into the period of great importance in British television as video on demand becomes more widespread. Ilse Howling, Freeview's Managing Director says "From recording your favourite TV series in high definition to giving you access to the most watched TV channels, Freeview offers essential TV for everyone, for free." 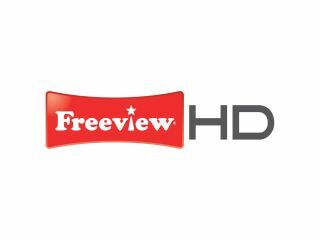 The rise of Freeview HD has also been fascinating to watch and, impressively, 15 per cent of all televisions sold this summer carried Freeview HD tuners, according to the company's press release. That brings the total amount up to a quarter of a million, although still only a drop in the ocean compared to standard Freeview, but a very decent start. Interestingly, despite 60 million pieces of kit being sold, the total number of houses that have Freeview as the primary service on their main television set is 10.2 million. That figure rises to 18.7 million when you factor in secondary televisions, so nobody could doubt that Freeview is a vital UK television platform. Plus, YouView is set to arrive in the UK this year, bringing catch up television and video on demand through the broadband connection but also, crucially, the Freeview linear channels as well.